The Myers-Briggs Type Indicator (MBTI®) based on Jung’s Psychological Types, identifies different ways individuals gather information, reach decisions, and orientate themselves in the world. Establishing preferences on four fundamental dimensions (Extraversion-Introversion; Sensing-Intuition; Thinking-Feeling; Judging-Perceiving) results in a four letter type, for example ESTJ, INFP. The gestalt of the four letters is far greater than the sum of the individual letter parts, with each type having a unique set of values and behavioural characteristics with inherent strengths and potential areas of weakness. Increasing an individual’s self-awareness of type enhances the possibility of development and change, and allows differences between types to be explored in a non-judgemental manner. The MBTI® indicator is an excellent tool for development but should not be used in selection, there being no right or wrong, or good or bad types. In a coaching environment the MBTI® results can be powerfully combined with 360° to give substance to the impact the person has on his environment, and helping to explain why the individual behaves in certain ways. 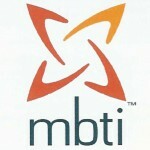 For a more detailed explanation of Jung’s theory and the MBTI® Indicator please click here. The Profile Report identifies the participant’s ‘reported’ four letter type. Once ‘best fit’ type has been established during feedback with a trained professional, a narrative report is produced. This explores personality in terms of the dynamics of the dominant, auxiliary, tertiary and inferior functions. This report gives many insights and practical applications. The Profile Report identifies the participant’s ‘reported’ four letter type. Once ‘best fit’ type has been established during feedback with a trained professional, a 23 page report provides information on the 20 sub-scales that make up the component parts, and gives a detailed overview of how different facets of the personality work together. The report includes the individual’s approach to: communicating, making decisions, managing change, and managing conflict. Thank you for a very informative introduction to MBTI… It was fascinating to learn about the different types, make a stab at what type I might be and see the humorous side via the cartoons and prayers! . . . It was a pleasure to meet you and thank you for organising such a thought provoking and entertaining day. Session useful in terms of understanding better how others may react, and the information/approach needed to best meet this. . . Made me aware of traits/manner in which I behave – both at work and at home. Helpful in identifying qualities in others which I should pay more attention to. Practical sessions were fun and informative, showed similarities/differences within team. . . Trying to present an idea/objective for an opposite “type” was very instructive and made me think about how I currently do this informally and the need to present a rounded case at the outset – early engagement. Session on communication, very cringeable (stet) to do but actually v. good. Would be good to explore further so that we can each identify more what we are not giving to others that they want. A dawning awareness that I am part of a team which comprises not only many personalities – I knew that – but different ways of working that need to be made the most of, not resolved away.